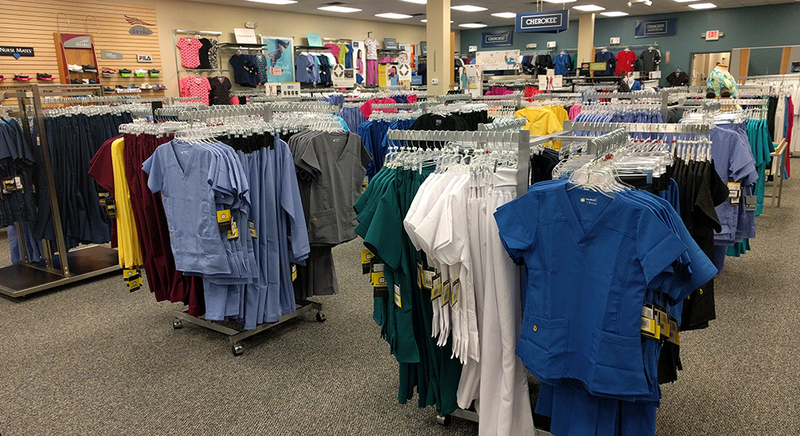 Affordable Uniforms' scrub stores are bigger, have more variety, and offer you the highest level of customer service when you shop for scrubs and nursing gear. We have 7 Ohio locations to shop at, all offering a huge selection of medical scrubs, nursing shoes and clogs, and nursing accessories and medical equipment. Find our uniform & scrub stores in the Cleveland area, Columbus area, and Dayton. Affordable Uniforms offers you all of the above locations to buy scrubs and nursing uniforms, nursing shoes, stethoscopes, and other nursing gear. Get everything you need to get ready for work at Affordable Uniforms - The Scrub Super Store - and get it at everyday affordable prices. Come browse our huge selection of women's scrub tops and scrub pants, plus, men's scrub tops and scrub pants. All of your favorite brands and styles under one roof.